On 26 June 2017, the United Nations, governments, non-governmental organizations, the media and citizens around the world will observe the International Day against Drug Abuse and Illicit Trafficking to raise awareness about the impact of drug abuse and illicit trafficking of drugs. 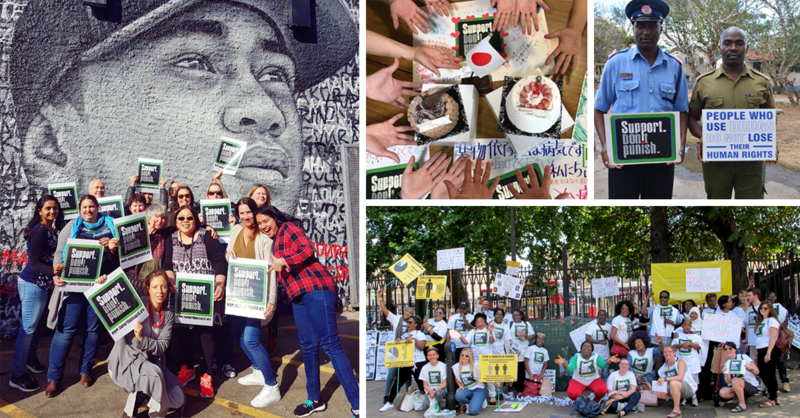 Transform Drug Policy Foundation is organizing a mass lobby in British parliament to push for drug policy reform. For more information or resources to participate in the campaign, visit here. Karim Khan Afridi Welfare Foundation will commemorate the Internal Day Against Drug Abuse snd Illicit Trafficking for the third time. This year their chairperson, Mrs. Christina von Sperling Afridi will appear on television to show the intensity of the drug problem and how to safeguard our younger generation. They are also planning a Drug Awareness Campaign on radio and large SMD screens in Islamabad and Rawalpindi. On the occasion of the 40th anniversary of activity since its foundation in 1978, San Patrignano Community celebrates the International Day against Drug Abuse and Illicit Trafficking with some different events, to underline the positive impact of recovery programs on individuals and communities. Close collaboration with institutions and other civil society organizations has given measurable results in these years and created positive values for the whole society. One of our resident trained as dental technician during his recovery program, to favor his social reintegration, participated to a National competition among hundreds of graduates in 2018, and ranked second: he will be awarded for the good result and offered a job opportunity. The same day, a football triangular championship between the National Magistrates Association, the Carabinieri team and a team of young people from San Patrignano, will celebrate the defeat of addiction and recidivism in drug related offenses. An important international insurance company will dedicate the whole day to volunteering within the community, in close contact with the residents, gaining awareness on the problem of addiction and the positive results of recovery programs. Last but not least, our press office, in collaboration with the staff and the therapeutic coordinator of San Patrignano, has organized a seminar on the issues of drugs and addictions, for the journalists of the most important national and local newspapers from all over Italy, to contribute to a more correct and accurate information on these sensitive issues. And finally, San Patrignano is pleased and honored to announce that on 26th June 2018, on the occasion of the 40th anniversary of the foundation of the San Patrignano Community, the President of the Italian Republic Sergio Mattarella will visit the community. The President Mattarella will visit our organization that has been working silently and passionately for the fight against drugs and addictions for 40 years and which bases its action on the main pillars of prevention, recovery, gratuity and love. Dianova International Network Launches Campaign to End the Stigma of Addiction. Starting June 26th, the campaign “Bringing Addiction Stigma to an End”– ‘Don’t search for a difference, there’s none’is to be launched to help raise awareness about the physical and psychological consequences of stigmatizing people facing substance use disorders or behavioural addictions. The campaign aims to emphasize that addiction is not a personal choice but a public health issue that needs to be addressed as such.#QuitStigmaNow will be launched by members of the international network Dianova in the following countries: Canada, Chile, Uruguay, Nicaragua, USA, Spain, Italy, Portugal, Sweden, Slovenia, Kenya, Pakistan, India. The ‘Support. Don’t Punish’ campaign is a unique global platform calling for harm reduction and the decriminalisation of people w ho use drugs. June 26th marks the sixth Global Day of Action. Following a global call for proposals, this year we anticipate actions and participation in more than 201 cities across 94 countries. 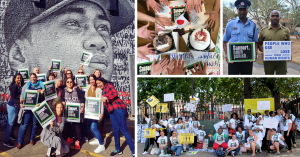 Actions will vary from protests, to concerts, to seminars and workshops, to street art displays, and many more – all organised by local partners to advocate for more humane drug policies. A map of currently planned events can be found here, and more information can be obtained from campaign@idpc.net. 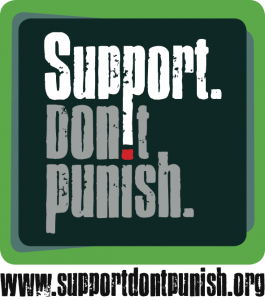 It is also never too late to organise an event: please contact campaign@idpc.net or visit the campaign website (www.supportdontpunish.org) which contains a wide range of open-access resources and materials. On June twenty-sixth, the National Anti-Drug Union (NAU) organizes an open training session in the Central Park of culture and recreation.M. Gorky in Moscow, which will bring together more than 150 former participants of our rehabilitation programs. Also, the Union will hold an Open Spartakiad “time to live!“ among the participants of our programs, as well as graduates and employees. The event will be held with the support of the Trustees of NAU (famous figures of culture and sports) to promote a healthy lifestyle among young people at risk. In addition, the organizers will launch a social flash mob “#Merbes-drugs!“in support of the all-Russian hotline for drug and alcohol treatment in social networks, which is aimed at informing citizens about possible treatment options for the above-mentioned diseases and effective methods of primary prevention of various kinds of addictions. “In our opinion, such events are the priority in the formation of the future of our youth, its motivation for the development and transformation of themselves. And as long – term experience shows, this practice also forms a persistent therapeutic effect in young people and girls who have undergone rehabilitation, which helps to improve the effectiveness of our programs and approaches in the treatment of socially dangerous diseases”, Nikita Lushnikov, Chairman of the Board of NAU.